Visionary hip-hop producer J Dilla never found mainstream success during his brief lifetime. But in the eight years since his death, Dilla — who would have turned 40 today — has come to represent a major influence point on hip-hop’s evolutionary tree. At his peak in the late 1990s and early 2000s, he suggested syntheses that hadn’t seemed possible. He played fresh games with texture and tone. He recast the sample as a malleable component, rather than the monochromatic backbone it had seemed to be. And he injected a softened, swaggering humanity into the rigid slap of classic hip-hop drumbeats. His magnum opus, Donuts, was reissued on vinyl last month, and the posthumous Music From the Lost Scrolls Vol. 1 came out on Tuesday — the first in a series of previously unreleased recordings. 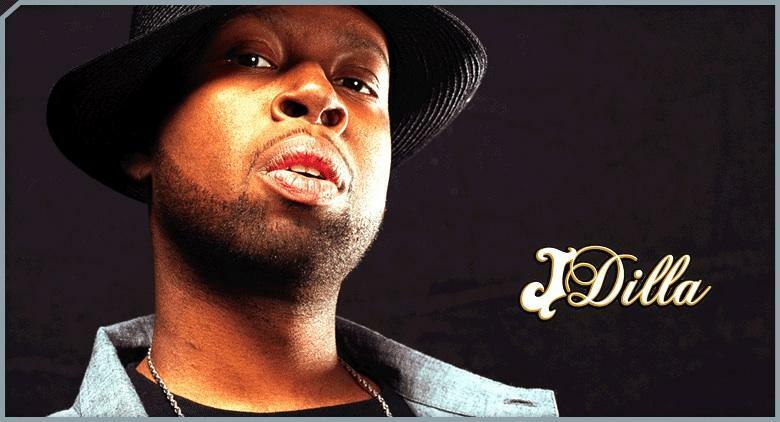 In Detroit on Saturday, the rapper Talib Kweli, violinist and arranger Miguel Atwood-Ferguson, and a handful of other artists will perform at the third annual Dilla Day, a concert celebrating Dilla’s career. Then, there was Dilla’s approach to crafting the rhythms of those drumbeats. Many beatmakers use a method known as quantizing, which lets you perfectly subdivide electric drum-machine sounds into positions within a measure. From there, the pattern can repeat indefinitely as a loop. Dilla preferred to play beats on a drum machine by hand in real time. That allowed him to color his creations with a signature rhythmic sway: languorous, leaned back, landing just behind the beat. In some ways, it was a new paradigm for the swing rhythm that had been born in West Africa and grew up with jazz. The combustion of group interplay, and improvisation that can seem to tug on the boundaries of a band or a song: These elements remain exciting. But long, exhaustion-seeking solos pointed at some final emotional summit? Swing rhythm that clangs contentedly on the ride cymbal? Not necessarily. Drew Mattiola is a third-year student majoring in communication studies. He can be reached at RM814408@wcupa.edu. J Dilla is the John Coltrane of hip hop production. I’m glad you and I share the same sentiments musically. This man was a pure genius. His rare beat tapes are flawless pieces of art that I have scavenged for and when I finally hear them I feel like a child on Christmas morning. I remember reading in one interview that he actually listens to records for the intent of the performer to mess up whatever instrument they are playing and he then focuses intentionally on that sound, distorts it and creates a sound pallet around it which shows how eclectic this man truly was. He even morphed vocal samples so well that they said something different in the finished version than in the original sample which is very difficult to do. ?uestlove of the roots often talks about his freeform genius and I am always in amazement of just how unbelievable a talent he was with his variety. Overall fantastic read man. I personally hope that a new D’Angelo album comes out since last I heard ?uestlove was saying that it is going to be some next level Sly and Family Stone style funk. But for now long live Dilla.